Mateo Kovacic is a Croatian professional footballer who plays as a midfielder for Spanish Club Real Madrid and the Croatia national team. His shirt number is 23. His team mates are Dominik Livakovic, Ivan Strinic, Vedran Corluka, Luka Modric, Milan Badelj, Ivan Perisic and so on. He is also considered as the versatile midfielder as he can adapt to play from any position. Mateo Kovacic is born on 6 May 1994 in Linz, Austria. He is passionate and enthusiastic player. His father name is Stipo Kovacic and mother name is Ruzica Kovacic and Jelena Kovacic. His nationality is Croatian and Austrian. His birth sign is Taurus. He began his youth career as six years old for LASK Linz, and then joined Dinamo Zagreb’s youth system. Talking about Kovacic body, his height is 1.78 m. His weight is of 75 Kg. His eye color is dark brown and hair color is also dark brown. He has balanced body with good health. In 2007 Kovacic joined Croatian giants Dinamo Zagreb. Due to injury he played only the last match of Croatian under-17 academy league. he started training with the club’s senior squad. His professional debut was in 2010-2011 Prva HNL away match in which he scored fourth goal on 20 November 2010 against Hrvatski Dragovolijac. This made the youngest goal scorer in the history of the league at the age of 16. In his first senior season he appeared in 7 matches. In 2011-2012 season he was a regular player. He helped the team to reach in group stage of the season’s Champions League for the first time. He appeared in 25 league matches ad scored five goals. He captained the team as being the youngest player. He also scored in the Croatian Cup final. In beginning 2012-2013 he suffered a bone injury and was not able to play many games. He was also in 2012-2013 UEFA Champion League group stage. In 2012 he was awarded as Golden Boy award. On 31 January he was transferred to Inter Milan. He made his debut on 3 February. He made his European debut in Europa League. they proceed to 2012-2013 UEFA Europa League. He was also given the “Gentleman Revelation of the Year” award which was awarded by their fans. He was also offered the contract extension till 2019. He started with a strong passion and was in team that was in Europa League. Again he renewed his contract with Inter until June 2019. Kovacic was forced to sell to Real Madrid on 16 August 2015. On 19 August he was revealed that he was the new player of Real Madrid and in which it was said that he would wear number 16 shirt for the club. He made his debut after four days. He made his eight appearances and scored one goal on the route to 2015-2016 UEFA Champions League. he scored his first League goal on 29 January 2017. He was also in 2016-2017 and 2017-2018 UEFA Champions League. 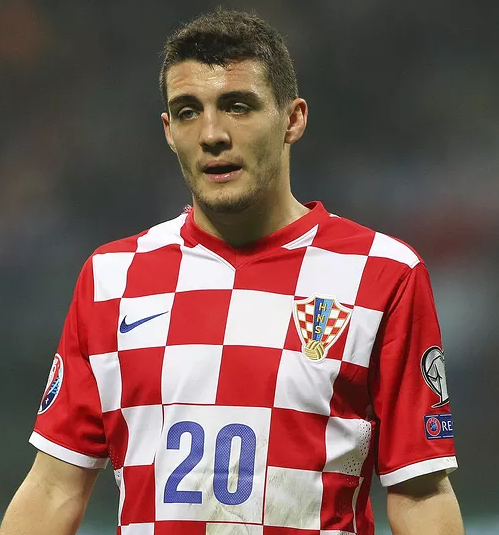 Kovacic appeared for Croatian national team at various levels. He was called up to Croatian senior team and 2014 FIFA World Cup qualification matches. He was also included in 2014 FIFA World cup finals and confirmed his place member of Croatia 2014 FIFA World Cup squad. Kovacic was selected in Croatia’s 23-man squad for 2018 FIFA World Cup on 4 June 2018. Recently Croatia has played with Nigeria and won the match by 2-0, Argentina and won the match by 3-0 and Iceland and again won by 2-1. On 22 June only he provided an assist to his teammate as he scored Croatia’s third goal and won over Argentina in their second group stage match of the tournament. On 11 July 2018 Croatia is playing with England at the semifinal of the 2018 FIFA World Cup. Kovacic is married and his wife name is Izabela Andrijanic. They got married in 23rd June 2017. Kovacic net worth is estimated to be $5 Million. He earns salary of around $3 Million. His earning sources are National team, Club deals and sponsorships deals.